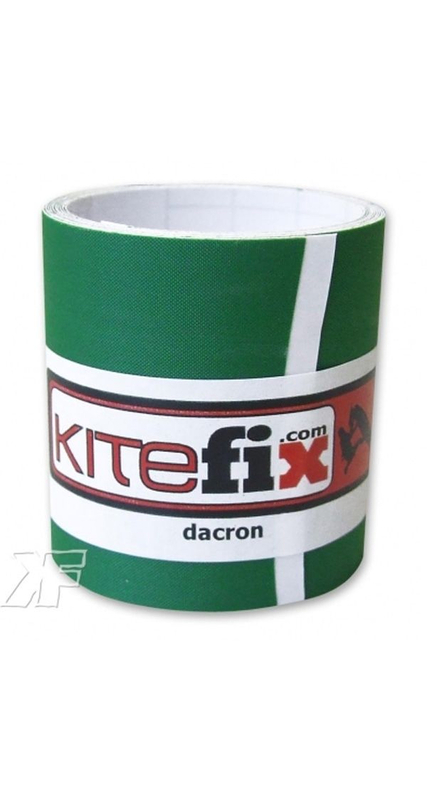 Our self-adhesive Dacron tape is ideal to reinforce a GluFix and FiberFix repair on the leading edge or struts of your kite. Just heading out on the water and notice that your canopy has a tear in it? Use our Dacron to make a quick, temporary repair to hold you for that session. 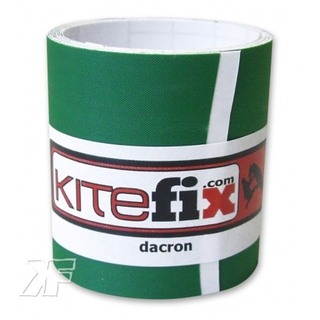 Sold in single rolls and available in white, black, green, red and blue.See our blog for a step by step guide to repairing your leading edge using the Kitefix Self-Adhesive Dacron.